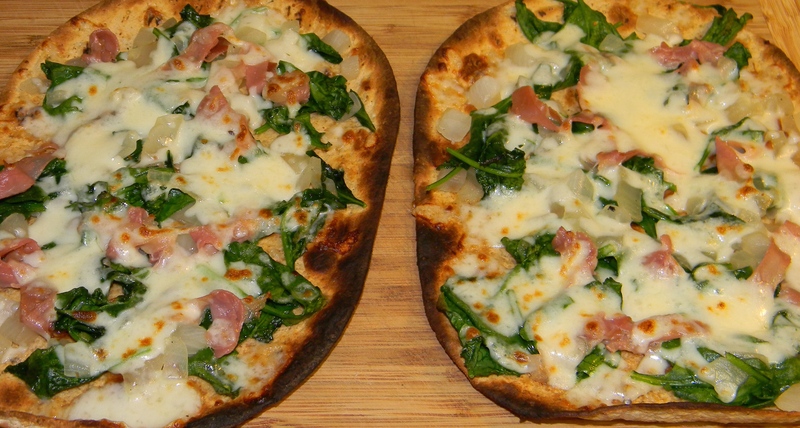 Spinach, onion, proscuitto, and fresh mozzarella make for a delectable flatbread combo. Added a cup of tomato soup for a light mid-week dinner. My kind of diet food!